Just when you think Ocean City has all but become a literal ghost town as colder seasons approach, Halloween weekend breathes new life — or death? Spooky — back into town with costume parties, drink specials and general festive fun at every turn. 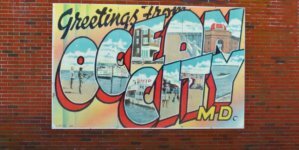 Below are some of the 2018 Halloween celebrations in and around Ocean City, and we’ll keep this post updated as new ones are announced. Sadly Halloween falls on a Wednesday this year, but it seems to have been decided that Hallo-weekend will begin on Friday the 26th. Get ready to party a few days early this year, then recollect yourself by the 31st when trick-or-treaters come knocking at your door. 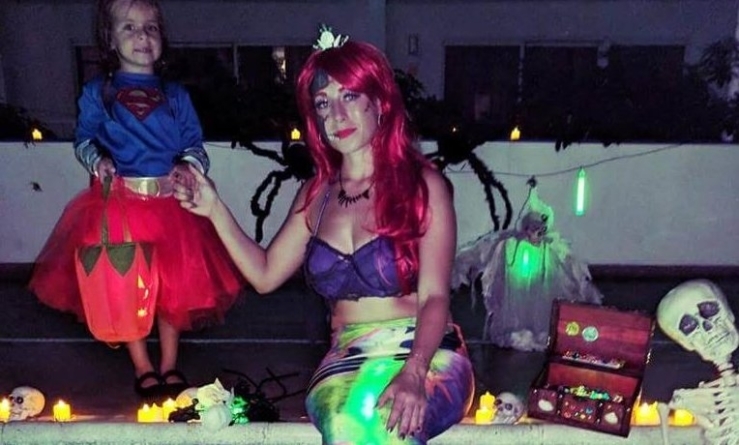 One of the biggest annual Halloween happenings in Ocean City is at Seacrets, where you can spend the entire night, and well into the morning, dancing to three live bands and showing off your costume. Wear something good, because the very best will win a trip for two to Jamaica. Miss this party at your own risk! 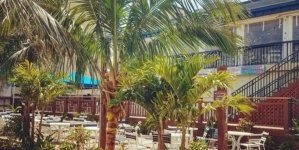 Visitors are summoned to Fager’s Island on Saturday, Oct. 27 for a haunted happy hour with $5 specials that include crushes, martinis, craft draft beer, house wines and selected liquor drinks, featuring spooky sounds by DJ RobCee. The hauntings continue later in the night with a Halloween costume contest and dance party with $500 in cash and prizes, plus undead entertainment by Jumper and DJ Groove. Haunted Island Happy Hour 5-9pm Best Happy Hour Costume wins a night at The Edge Hotel. 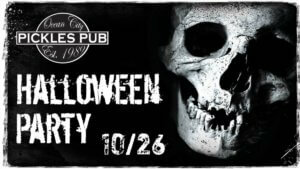 – Halloween Dance Party 9pm-2am Costume Contest with $500 in Cash & Prizes! Guests of the Princess Royale are in for a day full of Halloween fun on Saturday, Oct. 27. 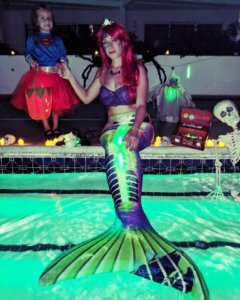 The Spooktacular Pool Party that night includes swimming with haunted mermaids, face painting, small pumpkin painting and the Atrium Pool Bar stocked with Halloween-themed food and beverages. Kids can trick-or-treat around the hotel all day on Saturday, and participate in a hotel-wide costume contest. The winner will receive a free night stay. It’s time to party at Pickles Pub on Friday, Oct. 26. Prizes will be awarded to 1st, 2nd and 3rd-placing costumes (so if you have a giant pickle costume in the back of your closet, now’s the time to put it to use). Crushes will be $5 and music will be provided by City Painted Green. 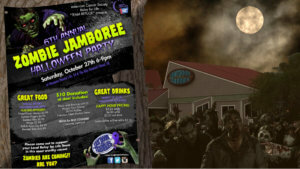 Not only is Harpoon Hanna’s 6th annual Zombie Jamboree a blast, complete with a Halloween bar menu, music and dancing, raffles and a silent auction, and happy hour pricing all night long, but it’s also for a good cause. A $10 donation at the door benefits local American Cancer Society Relay for Life Team “Team Refuge.” The zombies will be there on Saturday, Oct. 27 from 6 – 9 p.m… Will you? Halloween is for kids, but Mischief Night is for you. 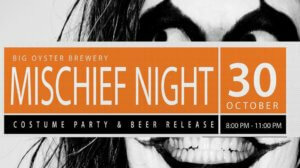 At Big Oyster Brewery in Lewes, DE, the night before Halloween is celebrated with the release of the brewery’s newest beer, the “Mischief” Halloween stout, and music by DJ Woody B, games, tarot card readings and costume contests where winners receive cases of beer. Tickets include the music, card readings and chances to win cases of beer, plus two draft beer tickets and unlimited appetizers and desserts. 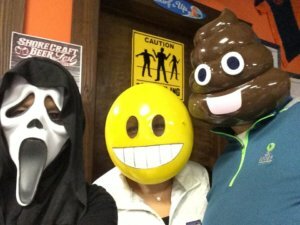 On Friday, Oct. 26, 3rd Wave in Delmar, DE will host their Mask & Cask celebration, complete with live music from Double Nickels and $1 off all cask beers for those who come wearing a Halloween mask.